Eco House Maggie is available as Log Home Or Timber Frame house. 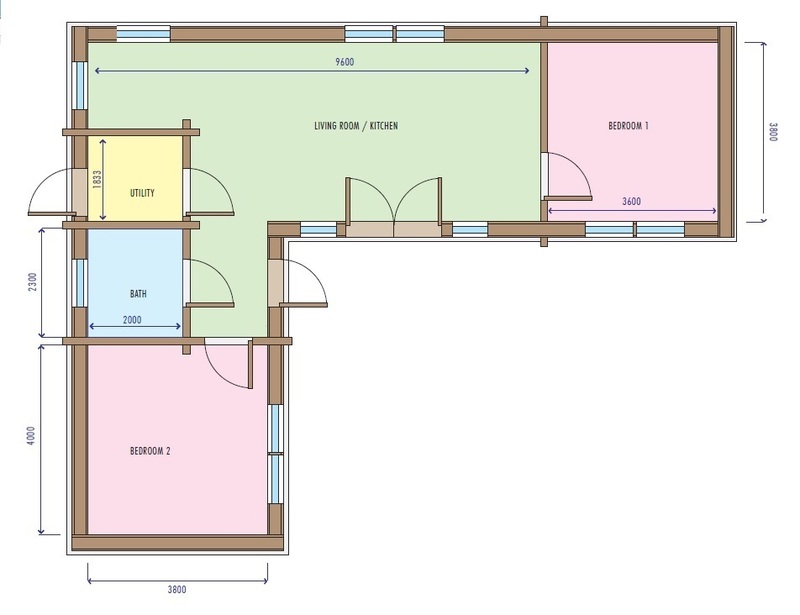 Overall footprint 91sqm comprising of spacious open plan kitchen / living room, 2 double bedrooms, bathroom and utility. Both types of construction are custom made with bespoke elements such as type and thickness of insulation, Glulam logs, size / number and make of triple glazed windows/doors, layout and much more, budget permitting. The result is a sustainable Eco house, super insulated hardy structure, designed to cope with the worst of Scottish weather. On site build to wind and water tight stage within few days.